The triathlon season is now underway with races and competitions taking place across the nation. The sport attracts people of all ages who want to test their endurance in three different disciplines – swimming, cycling and running. Last summer we sponsored Mireille Cook, a 42-year-old working mother of 2 and a triathlete. She had a successful year, winning bronze in the Triathlon World Championships. 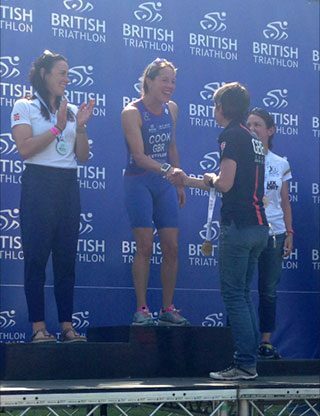 She became European Champion for Standard Distance Triathlon as well as England Sprint Distance Champion in her age group. This year she hopes to build on the success of the previous summer. 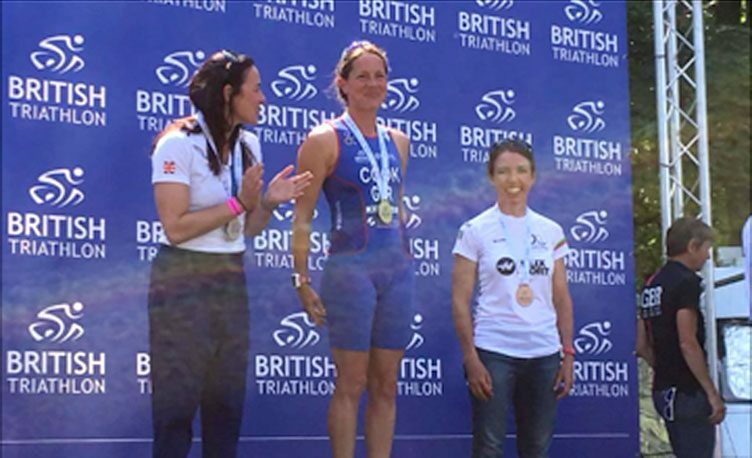 On June 10th she entered the Women’s (ages 40-44) British Age-Group Standard Distance Championship race at the British Triathlon National Championships in Leeds. She gave a fantastic performance and won Gold! 370 ladies participated in the triathlon over several age groups. Mireille was the fastest lady on the 36km cycle section in her age group and was the 5th lady overall. 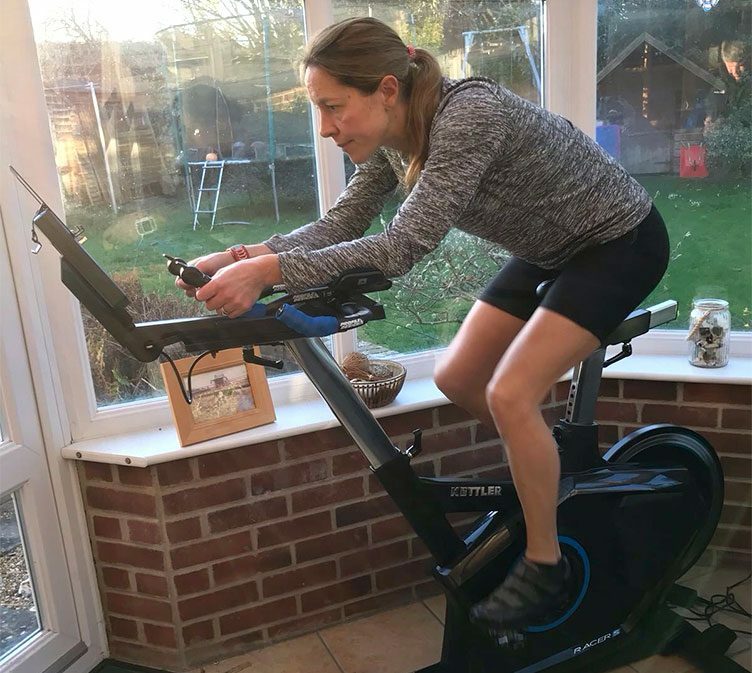 Mireille trained for triathlon competition over the Winter and Spring months using her Kettler Racer S Indoor Training Bike. She used her indoor bike for interval training to improve her performance and fitness, ready for the new season. You can read our post on her training for the triathlon season. Her next big event is in early September at the Triathlon England National Championship for Half Iron Distance. The distance of a half iron triathlon is a 1.2-mile swim, 56-mile cycle and a 13.11-mile run (the distance of a half marathon). Mireille is used to running Olympic distance races but a half iron triathlon is a much bigger and therefore more challenging undertaking. Furthermore, she has qualified for the 2019 European Triathlon Championships in Holland and the 2019 World Championships in Lausanne, Switzerland. With a busy 12 months ahead, we will report back on how Mireille’s training, how she performed and what will come next. We wish her good luck and look forward to hearing about her experiences in the coming months.